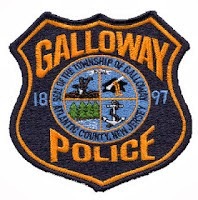 On September 22, 2014, at 6:00 p.m. Galloway Township Police responded to a serious motor vehicle accident with injuries. A Ford Explorer was traveling west on the White Horse Pike and veered over the eastbound lanes. After veering over the eastbound lanes, the vehicle went off the roadway and impacted a large tree. The 14-year-old juvenile passenger sustained serious injuries and was airlifted to Cooper Trauma Center in Camden, NJ. The driver, a 17-year-old male, sustained moderate injuries and was taken by ambulance to Atlantic City Medical Center City Division. Traffic on the White Horse Pike was delayed for approximately one hour while the investigation was conducted. Anyone who witnessed the accident is asked to contact Officer Patrick Neal who is the investigating officer.